Stay in charge of your GI health. A healthy GI tract depends on the harmony and balance of its microflora. Both "friendly" and "unfriendly" bacteria work to digest foods, but this "second brain" enteric system does so much more. 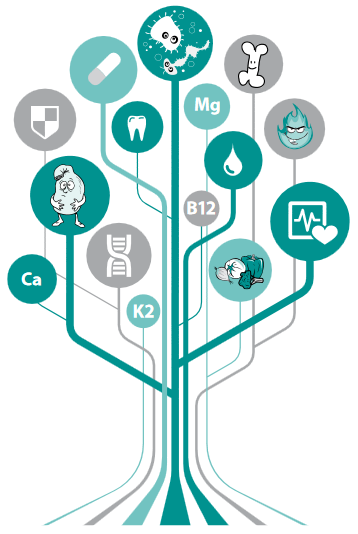 Optimal immunity, weight, even cognition depend on this ecosystem. 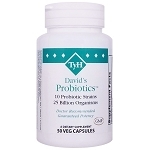 So "feed" your friendly flora with probiotics to keep the "good guys" in charge and your healh in balance with David's Probiotics™ or Acidophilus ES™. And if unfriendly critters have taken over, consider a detox with Olive Leaf Extract or Olive Leaf ESE™. Read more in Healthy GI, Healthy You and Toxic? Detoxify!